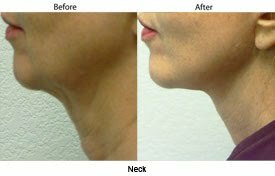 January’s Surgical Highlight from Santa Barbara cosmetic surgeon Dr. Terry Perkins is the Neck Lift. What makes a neck look “old”? Sagging skin, muscle banding and local fat accumulation can contribute to deconstruct the “contour” your neckline once had. Can an “old” neck be reversed? Restoring the “contour” can be done through cosmetic surgery with incisions behind the ears and one small incision under the chin. Muscles are often tied to help create a “sling effect” for better support. A suspension suture is often used to give more long-lasting support to the neck. A minimally-invasive version can also be done using special support sutures and limited undermining behind the ears, but the results will usually be less dramatic and don’t usually last as long. Schedule a neck lift consultation with Dr. Perkins by calling 805.563.0000.